The OILS program prepares professionals to help individuals, groups, and organizations to learn in more effective ways. The OILS program is situated in the University Libraries and Learning Sciences (UL&LS). The UL&LS is a degree-granting college with bachelor, master, and doctoral degrees in its Organization, Information & Learning Sciences (OILS) Program. 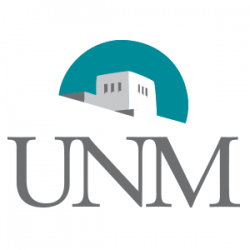 The University of New Mexico received the Carnegie Classification of Institutions of Higher Education of “Highest Research Activity” and is a Hispanic-Serving Institution. UNM is located in Albuquerque, the 60th largest metropolitan area in the US. Set between the scenic Sandia Mountains and the Rio Grande river, Albuquerque is home to diverse cultures, a vibrant arts scene, sporting events, fantastic local cuisine and is in easy access to myriad recreational opportunities.